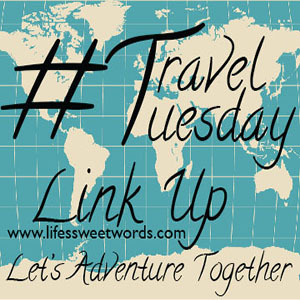 It's time for another #TravelTuesday Linkup and I can't wait to see where everyone has been! This past week we packed our bags and headed out on the high seas! A week aboard Royal Caribbean's Allure of the Seas was the perfect getaway. Babe surprised me with the trip as a way to say bon voyage to my 20s, since I turn 30 (eek!) on the 18th. While I can't wait to go into all the blissful details and each adventurous, exciting moment from each port destination, I am still playing catch-up around these parts. So I figured I would start by just sharing my top 5 favorite moments from the week and dive into the details later! 1.) Our very first balcony room!! We LOVE to cruise, but had yet to opt for a balcony because (1.) they are typically crazy more expensive and (2.) we are never in the room and therefore didn't think they would be worth the $$. Y'all, we were wrong!! So, we get on the boat last Sunday morning and here I am planning for an interior room and dreaming about the amazing sleep I will get since those rooms let in absolutely no light. Well, we start walking towards room 208 and I start to realize all the even room numbers are on the side of the ship that I keep seeing balconies in (the doors were open because people were still cleaning rooms). I turn a give Babe a "what's going on" look, but he looks clueless and so I assume at some point we will hit the end of the balconies and be at our room. Enter room 208 and there is sunlight streaming in through the sliding glass door! That stinker splurged and surprised me with a balcony as the cherry on top of our adventure and it was worth every cent! We had breakfast out there pretty much every morning, enjoyed coffee with views of the ocean while still sitting in our pjs, and were able to enjoy the most glorious sunsets while getting ready for dinner. With an interior room we were always planning around sunset to enjoy the beauty, even if it cut close to an event we had scheduled that we needed to get ready for. With the balcony we were given constant access to the stunning views! Though we won't be opting for it every time (it's still expensive, yo!) it will definitely be something we fork out the extra cash for when it's an extra special celebration (so maybe in another 10 years or so)! 2.) Time to RELAX!! 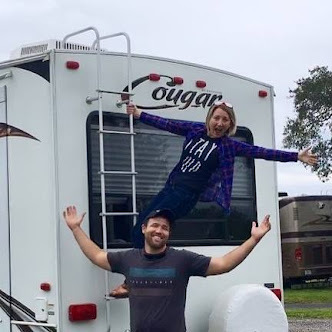 We usually read through the itinerary for each day and pick a couple activities to keep us busy (trivia, dodge ball, ping pong tourneys...), but this trip we ended up doing a whole not-a-lotta! We laid out in the sun, splashed in the pool, soaked in the hot tub and basically didn't leave the sun deck until it was time to go get ready for dinner. I even managed to read this month's book club selection, even though when I first started it at the beginning of the month I hadn't been sure if I would read it. I am really glad to say I did! Two from Galilee is a great book for the Christmas season. Though hard to get into at first, about 1/4 way through I ended up hooked and was crying by the end. It is a historical fiction story about the life of Mary and Joseph, as Mary finds out she is going to give birth to Jesus. It was really interesting to read about Mary through the voice of a young girl, coming of age and falling in love who then must shoulder this huge blessing and responsibility. It made her seem so much more human to me. Though it is fiction, it played closely to biblical scripture and to be given glimpses into what Mary may have been thinking and feeling really pulled at my heart strings, so that by the time they flee to Egypt I am in tears on the my lounge chair trying to not look like a blubbering baby on a cruise ship! 3.) Dragon Tail Coaster! On Royal Caribbean's private island, in Haiti, there is the option to do this bobsled mountain coaster thing. So. Much. Fun!! It's twists and turns down the mountain and gives awesome views of the beauty of Haiti. You control the speed, so of course when it was Babe's turn to drive he is literally full-throttling it around each turn (even when it says to break), but it made for one wild ride! More specific to come later! 4.) The BLUE HOLE in Jamaica!! Jamaica is a beautiful place! We chose to go to the Blue Hole, which was an awesome spot for any adventure lover! There's cliff jumping, waterfall hiking, waterfall repelling and so much more to explore. I could have stayed all day! Sadly, our window of time was short, but at least our time was packed full of adrenaline loving moments!! 5.) Broadway on a boat!! Typically we cruise Carnival; it's just become our preferred line of cruising. We love the variety and endless options at any hour of the day, but one thing we find lacking is the headlining shows. Royal Caribbean takes shows to another level and this cruise we got to watch Mamma Mia on the high seas! When Babe first told me I must admit that, while super excited, I was also a little skeptical. Mamma Mia is my all time favorite Broadway play. I am not sure how many times I have seen it (and no, I am not counting the movie), but I think this was probably my 6th time seeing it. Needless to say, I was hesitant that a cruise ship production would do it justice. When I say I love it I mean that I have the original cast recording on CD, know every lyric to every song (which helped me win the If You Know It, Sing It Game Show on board actually), can repeat most of the cast lines and had a mother-daughter dance to " " at our wedding. The first time I went my mom (being a die hard Abba fan) literally had to drag me to it, but 10 minutes in and I was hooked! So I like to think I know when it was done right and when it wasn't. The cast on literally KILLED IT! They were amazing! Though there were a few I thought could have been better cast, most of the characters were actually the best I had ever seen! I was singing, I was half ready to burst forth from my seat and start dancing in the aisles, I LOVED every single minute! Royal Caribbean tends to be a bit more expensive than Carnival cruises, but with shows like that it isn't surprising. "Mamma Mia, here I go again, my my, how can I resist you?" I couldn't! I was entranced! It really was one great trip and I can't wait to share more about all the awesome happies soon!! Where have you been exploring lately? ~I will also be sharing my favorite post from the month before. 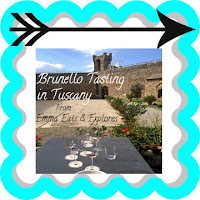 November's fave was from Emma Eats and Explores, because a wine tasting in Tuscany totally makes me go goo-goo eyed and gets my wanderlust flowing! 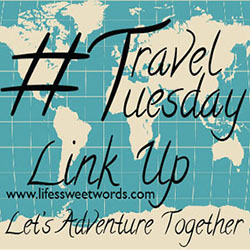 Awesome travel photos...thank you for sharing your cruise story w/ us fellow bloggers! I have always wanted to go on a cruise and this one looks amazing!!! Balcony upgrade?? Props to husby!! That's SO amazing!! Looks like perfection!